Vimeo have launched Tip Jar allowing filmmakers to request payments for viewing their content for $1 to $500 via PayPal. This could be an ongoing income stream in addition to start-up funding through crowdsourced models like Pozible and Indiegogo. Also check out another distribution platform alternative which allows content makers to deploy content directly to fans, cutting out the middlemen getmopix. If awards and red carpet walks are what your heart desires, enter your project into festivals around the world with this one stop shop Without A Box. Want to meet a whole new network of talented filmmakers and actors, and add a stack of short films to your show reel in the course of one weekend? The Sydney Kino Kabaret filmmaking marathon puts you in a room with professional and emerging filmmakers and all the equipment you need (provided by supporters Metro Screen, Sony Australia and Lomography Australia) to shoot as many films as you can in 32 hours. Metro Screen board member Emma Moroney has won the Global City Stories short documentary film competition. The Director, Dan Jameison is in London where he will accept the award at the gala premiere and opening of the Siemens Crystal Sustainability Centre. The film will be screened at the premiere and then go on permanent exhibition at the centre. The Cockatoo Island Film Festival opening night is a red carpet gala, that features the Australian premiere of Paul Thomas Anderson’s exquisite new film The Master. Buy your Opening Night Gala tickets (which include the screening and a fully catered after-party) in advance at our pop up nightclub, The Precinct . Congratulations to Monica Davidson of Girlhouse Films for making it through to the State Finals of the Dream Accelerator Program to represent NSW at SPAA Fringe for the chance to go all the way to Cannes, MIPCOM or SXSW. Monica is a writer, filmmaker and trainer. She has been working towards Handbag for ten years and is finally ready for it to happen! In three days the 21 students will learn the fundamentals of filmmaking all the way from script to screen. They will each have the opportunity to write, act, shoot, light, direct, edit, add soundtrack and produce, one of the following - short film, movie trailer, television commercial or behind-the-scenes documentary. Learn how to create a strong concept for a webisode series and get it seen by tastemakers with this three-day intensive short course. Webisodes are fast becoming the hot alternative to traditional production platforms of film and TV. Learn how to get your story to audiences using the most accessible and popular storytelling platform. Jarod Green, producer of webisode sensation Beached Az will share his tips and advice for creating a successful webisode. 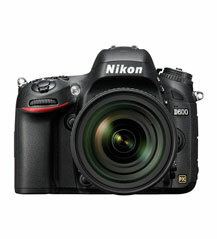 The new Nikon D600 and D800 have arrived. At Metro Screen we are thrilled to see Nikon entering the market to compete with Canon products. We like the HDMI playback option for monitoring and recording (with a clean HDMI source) on a device such as our Blackmagic Hyperdeck Shuttle in 10-bit uncompressed 4:2:2, directly on SSD. Better Luck Next Time by Ask King is a black comedy that tells the story of loneliness and despair with a heightened theatricality. The film was one of three winners of the FilmComp 30 competition run by Metro Screen and FBi Radio. Entrants were asked to submit a short film idea around the number 30. The film has made it into the official selection for the Chicago Comedy Film Festival. Seeking a Production Designer to consult on ideas for a short film which is being partially funded by Metro Screen's Jump Start program. Writer/Director is a graduate of the Metro Screen Certificate IV in Screen and Media. Cannot pay you at this point but it may be a possibility in the future. Looking for a creative match who is eager to learn. No set shoot date yet but film must be in post by early next year. Brand Honee is now officially live and is a providing a new way for those in the creative industry to get commercial exposure and recognition. It’s quickly attracting the attention of creative filmmakers, videographers, animators & actors looking for ways to break through a noisy market. Brand Honee hosts video competitions for brands seeking new and engaging ad content. Proving that SPAA Fringe can mix it up, they have announced a ‘totes amaze’ addition to the 2012 keynote speaker line up, with the creators of the Bondi Hipsters joining the line up of high profile filmmakers and producers at the two day event. With over 4 million hits on YouTube, over 12,000 Facebook fans, and now in development for a TV series on an Australian network, the Bondi Hipsters have taken the online world by storm, with their hilarious satirical look at the life and daily contradictions of Adrian and Dom. Like Sherlock Holmes and Watson before them, the brilliant but curmudgeonly Nero Wolfe and his streetwise sidekick Archie Goodwin are crime’s greatest nemeses. With Nero preferring to solve crimes at home amid his orchid collection, it is Archie who does the legwork about town to allow Wolfe to unravel the most confounding mysteries. Considered the most realistic cop drama ever aired, Homicide: Life on the Street gives viewers a unique cop's-eye view of one of the most challenging jobs imaginable. Created by Writer/Director Tom Fontana (St. Elsewhere, OZ) and Executive Producer Barry Levinson (The Perfect Storm, Oz), Homicide is one of the most acclaimed shows in US TV history. I Am Bruce Lee tells the amazing story of one of the most iconic stars of the 20th century, uncovering Bruce's life history, unique philosophy and ever-expanding legacy in the world of martial arts and entertainment. Through intimate interviews with family and friends (as well as entertainment and athletic icons) this compelling film will reveal how Bruce continues to shapes lives, careers and belief systems, despite his tragic death at the age of 32. An eclectic mix of fantasy and sci-fi created by the legendary Rod Serling. The Twilight Zone first aired in 1959. Its episodes featured stories of the bizarre and unexplained, blended with humour and often with an unexpected twist to the tale. Created by the legendary Rod Serling, its eclectic mix of fantasy and sci-fi has helped to define it as one of televisions most original and celebrated series. There is no power in the world like that of women, this most potent constituency we seek to represent, and for their suffrages we sue. Utopia Girls tells how Australian women attained political power and influence – in their own country and on the international stage – through the lives of these five remarkable and unique women. High above the ground, at speeds reaching thousands of kilometres per hour, fighter aircraft face off in some of the most intense battles in the history of warfare. Dogfights is a riveting documentary series that follows the development of air combat from the planes of the First World War to showdowns between the most cutting-edge aircraft flown today. Starring Brad Pitt, Scoot McNairy, Ben Mendelsohn, Ray Liotta, Richard Jenkins and James Gandolfini, Killing Them Softly is directed by Andrew Domink and created a huge positive buzz at Cannes Film Festival when it premiered earlier in the year. Thanks to our friends at NixCo we have 20 x double passes to giveaway for a special preview screening on 8th October at Event Cinema, George Street, Sydney.